But impact could be limited as this is only 0.5% of total demand. 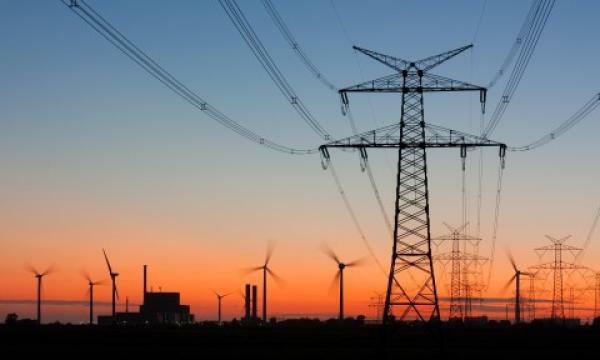 China’s turbulence with the US could slash the country’s power demand by 0.5% or 32TWh based on the tariffs on $34b of goods with effect from July, according to Wood Mackenzie. “Whilst the escalation of tariffs to $200b of goods in September pressures power demand growth, the stronger-than-expected rebound in exports will dampen the impact,” said Wood Mackenzie analyst Frank Yu in a note. However, according to him, this only indicates a limited impact on the power sector. Power demand growth has been “phenomenal” in 2018, Yu said. The first 10 months hit 8.7% YoY growth. “Industry remains the greatest driver, contributing 55% of the total growth until October. The four energy-intensive industries – ferrous and non-ferrous metallurgy, construction materials and chemicals – alone accounted for 20% of the total growth. The residential, commercial and service sectors also saw double-digit growth,” he added. Fuel substitution efforts have also helped unlock latent power demand. “We estimate the coal-to-electricity initiative created 130TWh and 145TWh electricity demand in 2017 and 2018, respectively,” Yu said. According to Yu, the effects of the tariffs have been limited for three key reasons. “First, the majority of China’s manufacturing is weighted towards domestic markets not exports. Second, the US remains small in China’s export mix for many commodities and China is developing alternative markets,” he said. The US is also primarily targeting high value-add industries. “It is an easier win for the US, but it also lowers the disruption to China’s power demand,” Yu added. Meanwhile, strong power demand and close scrutiny of new coal-fired power projects resulted in fewer curtailments for renewables in 2018. The government is moving away from the feed-in tariff (FIT) system to competitive auctions for new solar and wind projects. “To support this, China aims to implement long-overdue renewable portfolio standards (RPS) starting from 2019, after three rounds of extensive public consultation,” Yu said. Market-based power sales reached 28% of the total output in Q4, though most transactions were intra-province. “We expect these restrictions to gradually disappear and the government seems committed to ending the equal-share generation quota system,” the analyst added. Key things to watch in 2019 will be the implementation of the RPS, day-ahead power trading in Guangdong and the readiness of the national carbon market launch, Yu concluded.